Our Minneapolis asphalt milling experts are fully equipped to handle any size milling or milling repair project. Let our expert milling technicians prepare your parking lot, road or street for resurfacing by removing the damaged top layer of existing asphalt. 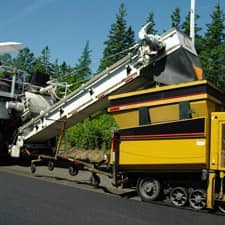 ACT Asphalt Specialties can mill from one inch to one foot of asphalt and aggregate base — using a time-tested and proven milling process that makes removal quicker, cleaner and more affordable. ACT Asphalt Specialties offers a full range of asphalt milling services to grind and remove the top layer of aging asphalt on streets, roads, highways, parking lots, condominium complexes, industrial parks and more. When performed properly by experienced professionals, the asphalt milling and milling repair process keeps streets from getting too high from years of resurfacing – and prevents costly drainage problems from arising. For more information on how ACT Asphalt Specialties’s professional asphalt milling and asphalt recycling contractors can improve your asphalt surfaces, contact us today or call us directly at (651) 484-1696.